Nicole Kidman and Tom Cruise were married 28 years ago. It seems a life time ago, but we all know they were one of Hollywood’s most powerful couples, and apparently that power benefited Nicole more than she thought. Nicole was just 23 when she wed 28-year-old Tom in 1990 and the two called it quits in 2001. But now Nicole has opened up about her marriage to the actor and how his influence kept her from being sexually harassed in an essay for The Cut. "I got married very young, but it definitely wasn’t power for me—it was protection," she says in the essay. "I married for love, but being married to an extremely powerful man kept me from being sexually harassed. I would work, but I was still very much cocooned. So when I came out of it at 32, 33, it’s almost like I had to grow up." 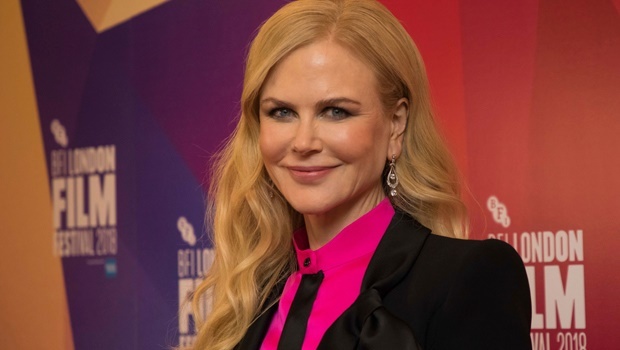 Though she didn’t want to detail any specific #MeToo experiences, Nicole said the echo of those moments can be seen in her work. "I’m open and raw. I want to have my well of experience and emotion tapped into, used—and I’m not just talking about sexual harassment," she continued. "I’m talking about loss, death, the full array of life. But it has to be by the right people so it’s not abused again." Currently, Nicole is handling the #MeToo movement head-on: the actress is playing Fox News anchor Gretchen Carlson in an upcoming film about Roger Ailes’ downfall at Fox News after a string of sexual harassment allegations. Often we don’t realise what privilege we are afforded by certain situations and associations. Like being married to or dating a certain person, or coming from a family who is well-known. They can protect us from things we didn’t realise before. But it’s still sad that Nicole was seen as Tom’s wife and not a person on her own. It seems that she was valued as the property of another man, not as a living, breathing, thinking, feeling human being who shouldn’t be harmed because it’s just wrong.